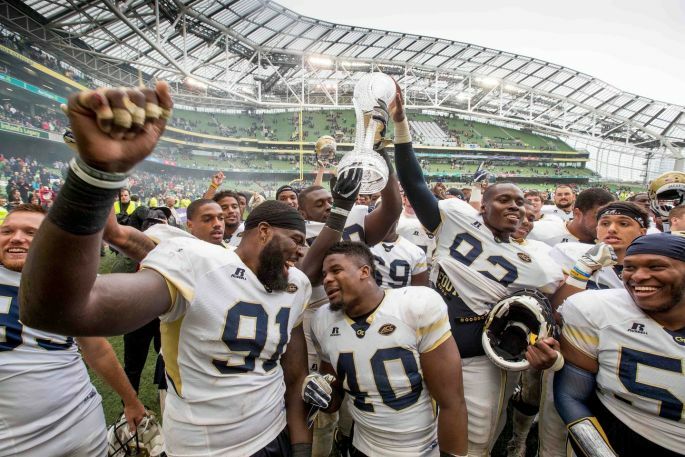 On the 3rd September the Aer Lingus sponsored College Football Classic between Boston College and Georgia Tech came to the Aviva Stadium, Dublin. Six high school football teams altogether took part in this event from Florida, Georgia and New Jersey. It was an extremely successful event with an official attendance of 40,562 on the day and an estimated 25,000 people travelling from the USA and Europe to support their teams. ESPN broadcast the game live to an audience of around 2 million viewers. High Five to Georgia Tech! 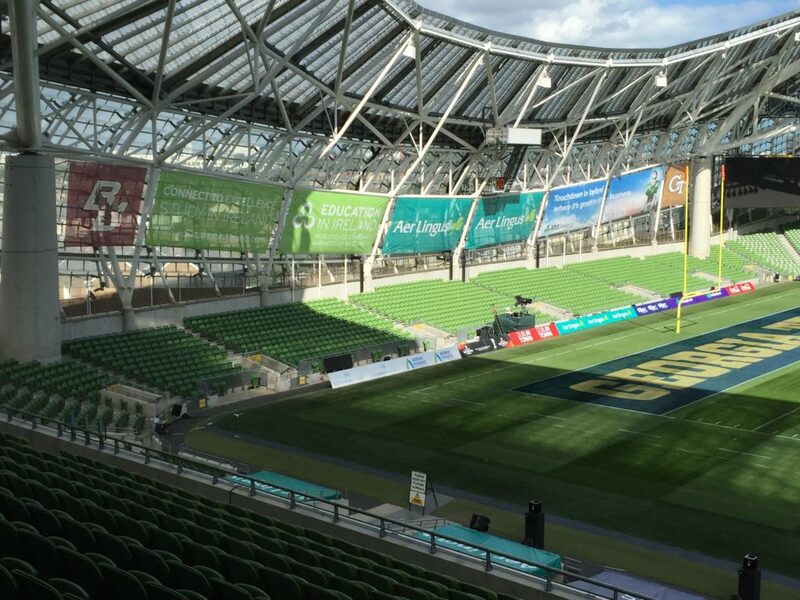 We branded the entire Aviva Stadium, Dublin to host this years game along with the Welcome Village at Trinity College, which was the headquarters throughout the game weekend. It was a big project on a tight schedule but working with Paul Daniels, Event Brand Delivery Project Manager and Outdoor Asset Management we rose to the challenge.